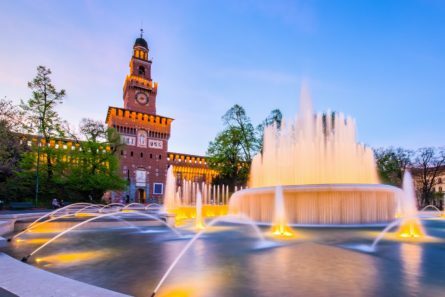 Start the day with a magnificent Sforzesco Castle tour, enjoying its beautiful courtyards, the centerpiece of an unforgettable skyline. It was the residence of the Sforza dukes in the 15th century, and now houses an important Sculpture Museum, including a collection of centuries old weaponry. Here you can take time to admire Michelangelo’s final work, the touching Rondanini Pieta, on which he was working the week he died. We will then make our way to one of Milan’s most beautiful areas, the bohemian district of Brera, renowned for its buzz and art galleries. We will meander towards the Brera Art Gallery, a seventeenth-century palace housing the Academy of Fine Arts, to admire the building, from the outside, before browsing the buzz of designer boutiques. And, the real Milanese aperitivo experience.